AspDotNetStorefront is a powerful eCommerce platform designed to help you attract and retain new customers. 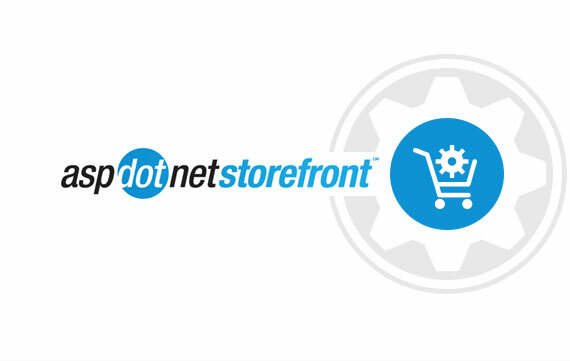 With more than one thousand fully-tweakable settings plus open source coding one of the main strengths of AspDotNetStorefront is the ability for customers to quickly and easily make changes to their storefront. AspDotNetStorefront also provides superb tools for integration with other systems – including your existing CRM solution. Quickly and easily working with your existing systems AspDotNetStorefront has proven itself equally suitable for both small and large businesses. Planning To Use AspDotNetStorefront For Your Next Project?Get in touch with us! How can we help you get the most out of your storefront? Increased conversion rates with smart checkout features including cross-sells and up-sells. How to customize your eCommerce site to the exact specifications that you desire. Increase your customer retention by launching promotions, mailing customers with new offers and setting up recurring orders. Gain new customers and improve your relationship with your existing ones with social media marketing. Your storefront will instantly detect what size screen your customer is using and adjust to suit, allowing customers to shop as easily from a mobile as they would from a tablet or laptop. Manage all your content quickly and easily, as well as gaining access to the source code to allow for further custom development whenever you desire. Easy to use functions available right out of the box including coupons, tax rules, setting up shipment tracking and pricing by customer group. Built for small businesses on the AspDotNetStorefront which allows for a level of customization and ownership many small businesses cannot experience with other platforms. including 2 instant checkout solutions, 6 all-in-one payment solutions and 30 gateway solutions. We create eCommerce solutions that have a significantly faster loading time than many of their competitors, helping them to avoid losing customers during the buying process. We have extensive experience providing custom solutions for the jewelry industry with features such as product customization, auto-pricing and preview options. Apps/Extensions: Bulk Image Importer/Updater, Inventory Checker, Advance search functionality, Social media, shipping and tracking, dealer locator, Promotional sale countdown, variant product selector and much more. We, at New Media Guru, are building great online websites for businesses, helping to outsource web projects with quality work.